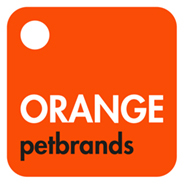 Orange pet Brands will be exhibiting for the first time at Interzoo 2018, Europe’s largest exhibition in pet supplies in Nuremberg. We will be represented with the brands Greenfields, Rebel Petz and District 70. This year’s focus lays on inspiring our visitors about the world of pet supplies. Our goal is to have one-on-one conversations with (potential) customers to understand their goals and challenges, strengthen partnerships with existing customers and build relationships with potential customers. We will also introduce new concepts and launch our new brand District 70! Orange Pet Brands will be present at Interzoo from May 8th till May 11th 2018. Our booth can be found in Hall 6, booth number 6-240. Visit our booth and learn more about Orange Pet Brand’s benefits, recent launches and our latest product ideas. We are looking forward to see you in Nuremberg and be the first to try our unique and high quality products!